Inspire Maths builds firm foundations and a deep understanding of mathematical concepts through a concrete-pictorial-abstract approach, emphasising mastery to help children become confident and independent mathematicians. 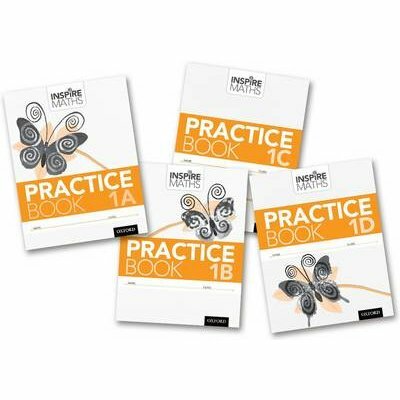 These Practice Books provide carefully structured questions to reinforce concepts introduced in the Pupil Textbooks and to provide varied, frequent practice. A wealth of activities develop fluency, build mathematical confidence and lead towards mastery.